Alice lives and works in the North East of England with her partner and slightly ferocious cats! Alice has always enjoyed writing from being a child when she used to carry notebooks and write stories no matter where she went. She would be the girl in the corner scribbling away while everything went on around her. She writes all manner of fiction with a tendency to lean towards the dark side. Dreams and sleep-talking are currently a big source of inspiration and her debut novel, The Doors, is a young adult novel which originally came from a dream several years ago. Several of her short stories have been included in anthologies and she is always working on more. When she’s not writing, she always has a book in her hand and will read from whatever genre suits her that day. What are the challenges of writing in the ‘new adult’ genre? 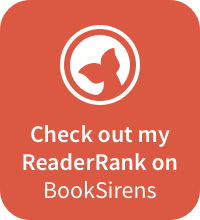 Most of the writing I do is focused on the YA genre however, I have written several horror novels and a series of novellas based on a young woman struggling with alcoholism. For me the biggest difference between them is that I tend to write YA ‘clean’ and when I do write new adult, I don’t tend to censor as much. Your debut novel released in 2014. How did you feel? Did anything change for you? Having The Doors published was like a dream. Some days it still feels surreal that my novel is out there and that other people can read it! It did change for me, in a way, because I really started believing in myself, believing that somebody wanted to read it. Knowing that somebody had taken the time to not only read my work but say that they wanted it was like a dream come true. I was on cloud nine! Since your first publication, do you now feel pressure to produce more publishable work? I guess I do in some ways. Yet at the same time, the things that I have been working on came to me quite naturally so I don’t feel like it has been a huge slog to continue writing. I’m enjoying what I do and that was my aim, first and foremost. Tell us a little about your journey to becoming a published author. I have always been a writer. For as long as I can remember I was writing stories and doodling and asking people to read them. I remember writing a short story in my first school about an alien from another planet who ate food through his hand. Someone told me that ‘aliens can’t do that’ and I decided then, that yes they could! I’ve grown up with both reading and writing and so when I found writing.com (which used to be stories.com) I found a home away from home. A strong, online community of writers who didn’t look at me like a little girl with a notebook but who took me seriously and offered support and critique. Without finding my way there, I don’t think I ever would have got to where I am today. Becoming published has always been a dream, but one that seemed completely unachievable but for me, when people started reading my work and helping me hone my craft, I knew I was producing something special, something different, and hopefully something that somebody else wanted to read. I sent The Doors, my first novel, to one publisher who seemed to like it but then never got back to me. I sent it to another. Fire & Ice accepted it. I couldn’t believe how lucky I’d been and I feel like I managed to find the right person at the right time. On their second night in the house, her mum cooked in the kitchen while Amanda laid the table for their meal. It was an alien process to her, something they’d never done back home. They always used to have their meals in front of the TV, out of their laps—TV dinners her dad had called them. She just thought it was cosy. Mostly, they did it because there wasn’t room for a dining table in their old house, but here, there was more than enough room and she couldn’t avoid having a more formal meal setup. She glanced over at the mosaic doors that were the focal point of the room. They were a pair of double doors standing six feet high at least. Across their surface was a motif; tiny little tiles all shaped and placed together in a bizarre picture. It portrayed a man in his small fishing boat, angling in the rough, dark sea for whatever catch he could find. The sky was dark, overcast with thick clouds. Here and there, a patch of pale blue shone through, but to no avail for the lonely man. At the bottom of the picture there was land, a rocky shoreline of great big boulders, grey and covered in moss and seaweed. Below that, a grassy verge. Stepping closer, she wanted to reach out and touch the tiles, but at the same time feeling a pang of revulsion. Silence reigned and as she stood there before the doors, the only sound she could hear was the pulse racing through her veins. Her hand, moving as if it had a mind of its own, pushed forward until her fingers finally came to rest on the tiles, cold and smooth. At that moment, her dad walked into the room. He froze as he glanced at the doors, then at his daughter. Stepping forward he grabbed her wrist and wrenched it away. “Amanda, don’t you go near those doors,” he told her. He gripped her arm a little too tightly, the flesh beneath his fingers white. She pulled her arm free in shock, staring at him. For a moment they stood there in silence. She’d never seen her dad act in such a way. He was usually the more placid type. “They’re old and probably worth a lot of money,” he added as if in explanation. What made you decide to write/publish under a pseudonym? I decided to write under a pseudoname as I wanted to keep my day job and writing separate so I could enjoy it to its fullest extent. Do you have a writing routine or do you online write/edit when you’re inspired? I try to write or edit every day, depending on what is going on. Recently my whole schedule has been taken up with editing. I’m loving getting my teeth stuck into future works to be released! I’m an early bird so I prefer writing first thing in the morning as long as my work shifts allow and love curling up in front of my laptop surrounded by my papers and pens! Do you work with or utilise many other professionals, eg. editors, publishers, cover artists, etc.? Occasionally. But most of the work I’ve had published has been through small presses so it tends to be organised by them. How much do you work on your social presence? Do you feel like an online presence is a necessary part of marketing your book? Not as much as I should! I think having an online presence is important but I struggle with self-promotion a little. I don’t want to feel that I’m clogging up feeds with images of my books etc, but I do know that having that online presence and showing myself to the world probably helps a lot. I’m trying to get involved in a few more things currently like doing interviews, taking part in giveaways and promotions. I’ll run a party when my next novel is released too. What’s the latest thing you had published? 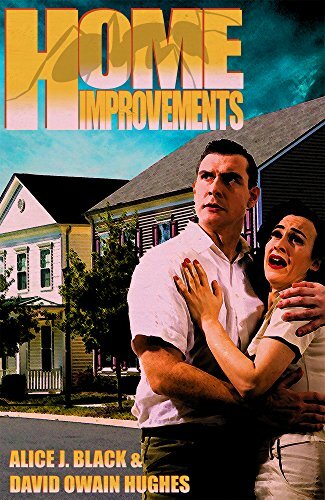 The latest thing I had published was Home Improvements, a co-written novella with David Owain Hughes which is about big bugs! Now I’m currently working on the edits for the first novel in the Demon Hunter series, A Shadowed Beginning. It is being released by Fire & Ice this autumn (date to be decided) and six more will follow! The series is a YA collection based on Ruby Dawson and is not one to be missed. I’m also working on edits on a series of novellas which has been picked up by The Parliament House. If you like the supernatural, you’ll want to check these quick reads out! You can follow Alice on Facebook, on Twitter and on WordPress.